Going through a fitness frenzy? Then it’s time to up your hair game. Looking for pretty, gym-friendly black hair ideas? We don’t blame you. With sports season now in full swing, it’s making everyone turn fitness and sports-crazy (us included)! 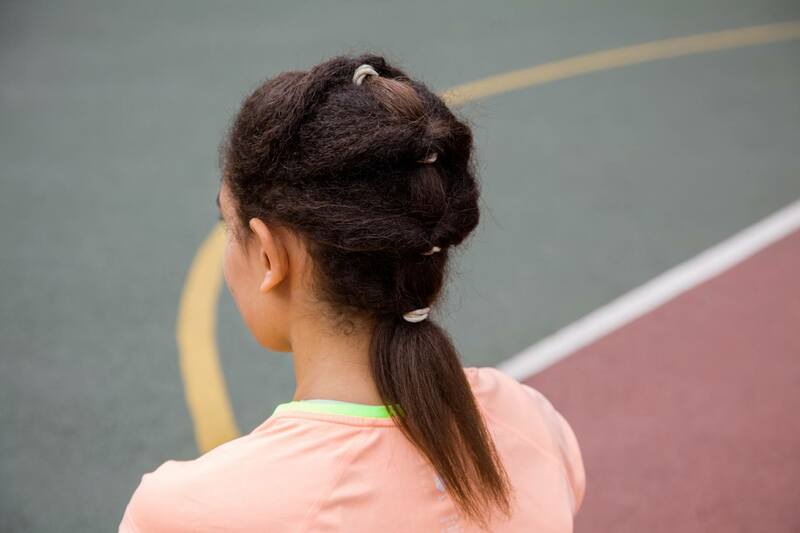 That’s why the All Things Hair team put together a carefully curated list of hairstyles that are perfect for aspiring athletes. So, whether you’re trying to beat your PB on the track or just want to look beautiful while on the balance beam, we’ve got something to suit your activity of choice. 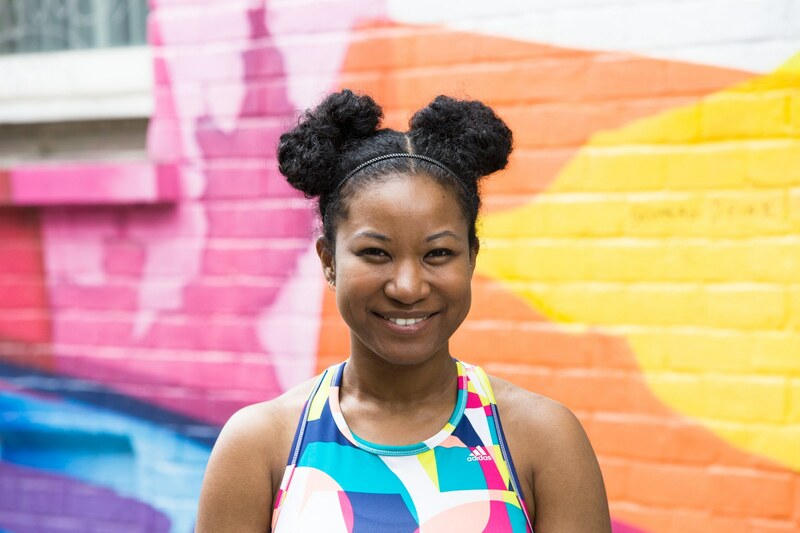 Editor’s tip: Before starting your gym hairstyle, begin by prepping your hair with the LOC, LOCO or LCO method (which stand for liquid, oil and cream). For the liquid section, try a leave-in conditioner, such as the Dove Quench Absolute Leave-In Detangler. This formula works to strengthen and moisturize your hair As for the hair oil and cream parts of your hair care routine, try out the Dove Regenerative Nourishment Serum-in-Oil that works to penetrate into the hair as it delivers nourishment and the TRESemmé Make Waves Defining Cream, a lightweight cream that works to give your curls natural definition. 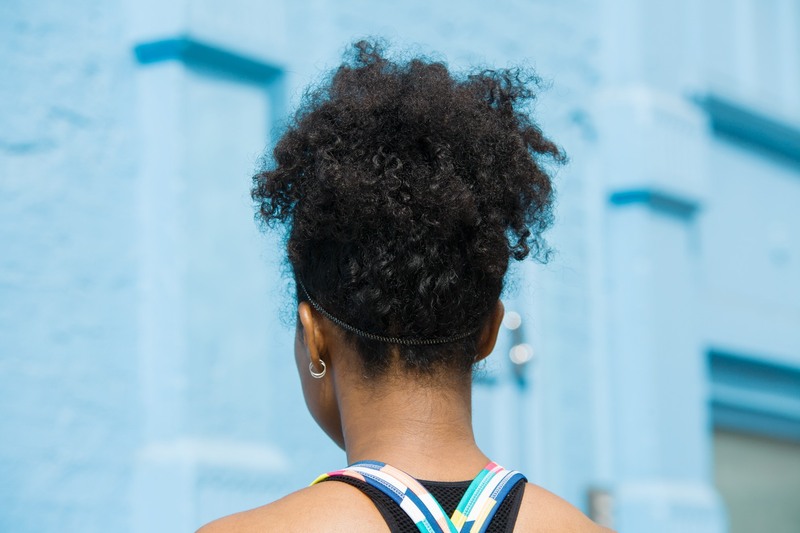 Doing all of this before you workout might seem a little excessive, but because curly and afro hair are more prone to dryness, it’s important to keep them well conditioned – even when you’re working up a sweat! 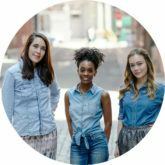 Looking for black hair ideas that will stand the test of a tennis match or the high speeds of cycling? Then this tiered and twisted ponytail could be the answer to your curly hair prayers. The best part? Although it looks rather intricate, in reality, it’s super easy to do! And if you’re a die-hard fan of the practical ponytail, it’s a great way of updating your go-to ‘do. Step 1: Take the top section of your hair (roughly two inches in width all the way around) and create a half-up ponytail. Then, secure it with an elastic band, making sure that your ponytail isn’t too tight. Step 2: Carefully create an opening above the middle of your ponytail, using your fingers to divide your hair. Step 3: Flip the end of the ponytail up and through the gap to create your first twisted ponytail. Step 4: Take another 2 inch-wide section of hair, just below your half-up ponytail. Create another topsy-turvy ponytail, again pulling the end of your first ponytail through the gap. Repeat this process until you have created 4 topsy-turvy ponytails! 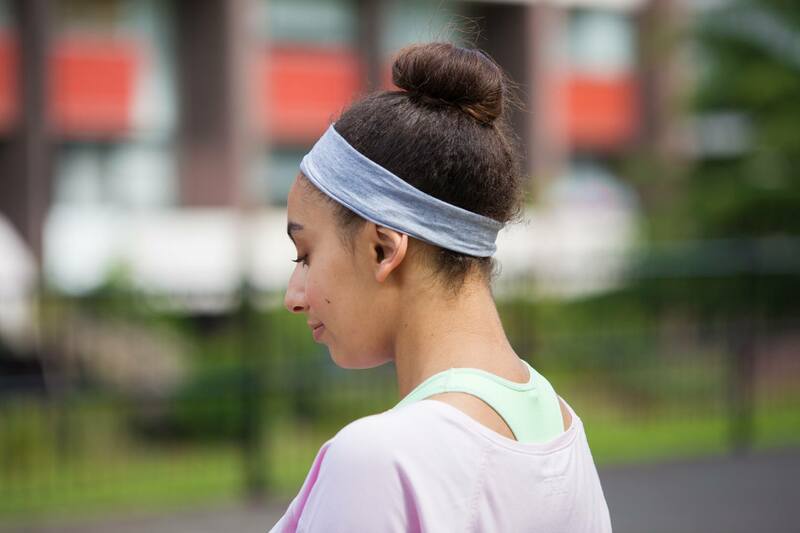 You’d be hard-pressed to find anyone that doesn’t love the classic ballerina bun. 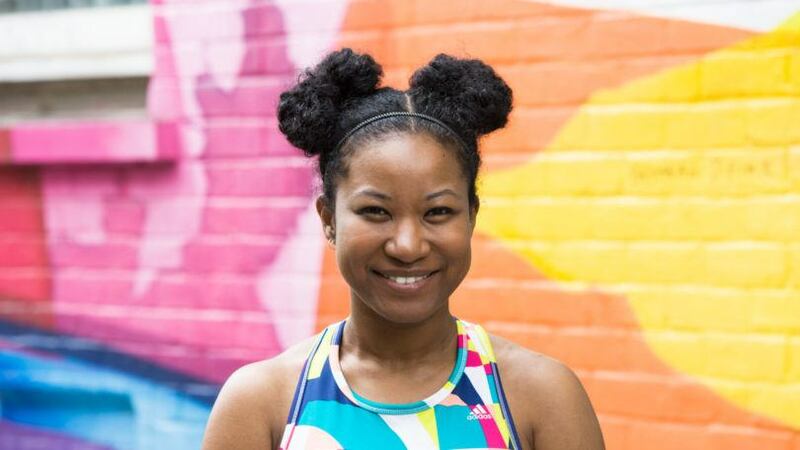 This black hair ‘do is inspired by gymnasts, and we love it even more because it’s also a protective hairstyle. Step 1: Gather all of your hair into a high ponytail and secure it with a hairband. Step 2: Gently twist and wrap the tail of your pony around its base, securing it with bobby pins or another hairband – and you’re finished! 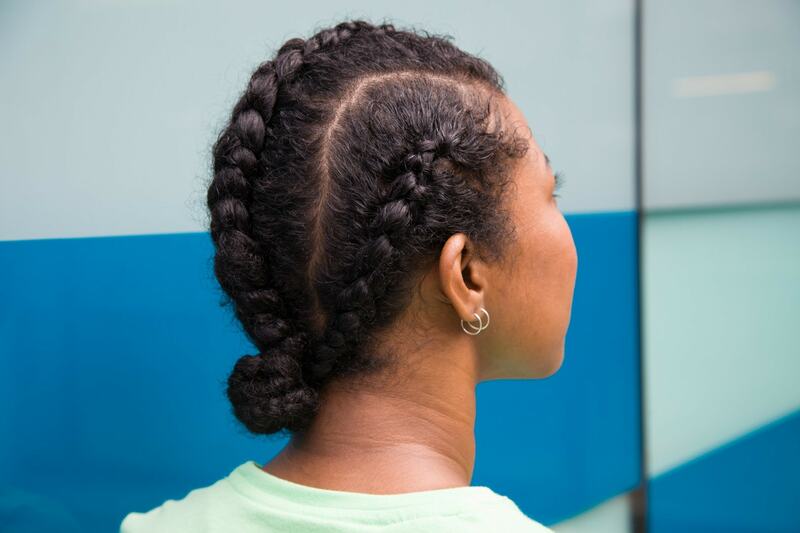 Editor’s tip: Flyaways and baby hairs ruining your uber stylish gym ‘dos? Just apply a little bit of some gel to your hairline and brush it back using a natural bristle brush or an unused toothbrush (trust us, it works!). You can also team your bun with a headband to keep these pesky small hairs at bay – it’ll instantly take your bun from basic to beautiful! Step 1: Using the tip of your comb, divide your hair into three sections (from your forehead to the nape of your neck). Aim to make the middle section the largest and two outer sections slightly smaller. Use section clips to secure each of your outer sections. Step 2: Now it’s time to begin your center boxer braid. Take about an inch of hair from your hairline and split it into three equal parts, and start to weave them: the left goes under the middle section, then the right under the middle section. Step 3: As you continue your plait, pick up hair from underneath and add them to the outer sections as you weave. Continue this process until you reach the nape of your neck, then finish by plaiting a standard three-strand plait until you reach the end. Step 4: Plait the two outer sections by repeating the braiding process above and finish the look by twisting the ends of all three braids into a bun or ponytail, before securing with a hairband. You heard it here first: ‘90s hair is back! And with that in mind, no black hair list would be complete without a rave-inspired ‘do. We think these cute, protective space buns would be great on the balance beam or vault. Step 1: Create a deep parting using the tip of a comb, dividing your hair into two equal sections. Step 2: Secure both sections with hairbands to create two high pigtails. Step 3: Finish by twisting and wrapping the ends of your pigtails into a bun, securing it again with a hairband or some bobby pins. Let’s be honest: we think you’d be hard pressed to find an occasion when the pineapple updo isn’t suitable! This hairstyle is great for keeping your black hair out of the way, while also showing off your curl definition. Just pull your hair into a high ponytail and secure with a snag-free hairband, and you’re good to go! Editor’s tip: Why not take your hair game to the next level and try layering up some elastic headbands – we think it instantly makes the hairstyle look super athletic. Looking for more black hair ideas? Check out some of the short hairstyles for black women that we love.